From the options page, select IMPORT PROJECT. 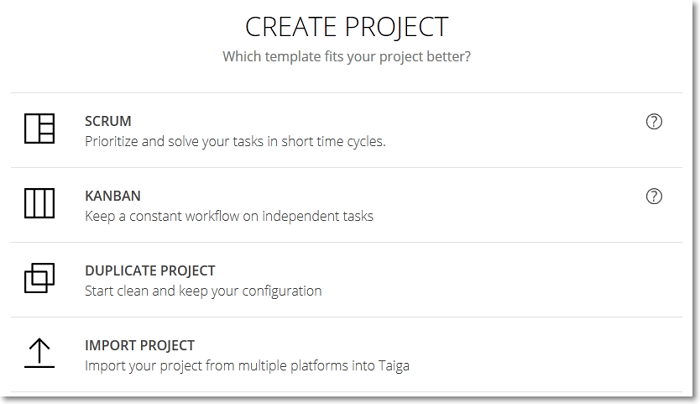 Select a project management tool from which you want to import a project. For help with importing from other project management tools, you can click here. 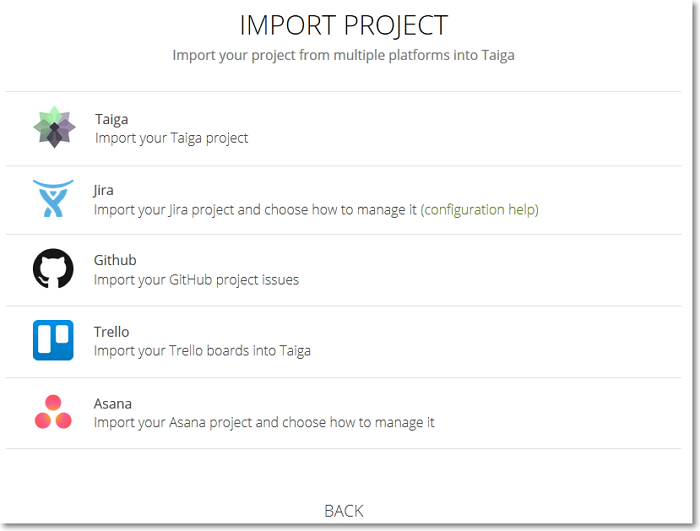 If you choose to import a previously exported Taiga project, after you select the .json file to upload click ACCEPT. When the import is finished, you will receive a notification e-mail. Refresh the browser page to view your new project on the list, or use the link in the e-mail to go directly to your imported project. Note: When you import a project, you also import the e-mails of the project’s members. However, if you import your project in a different Taiga installation, if those members are not users of that Taiga installation, you will need to resend the invitations. For details about re-sending invitations, you can go to The MEMBERS section. For details about exporting a project, you can go to Export.